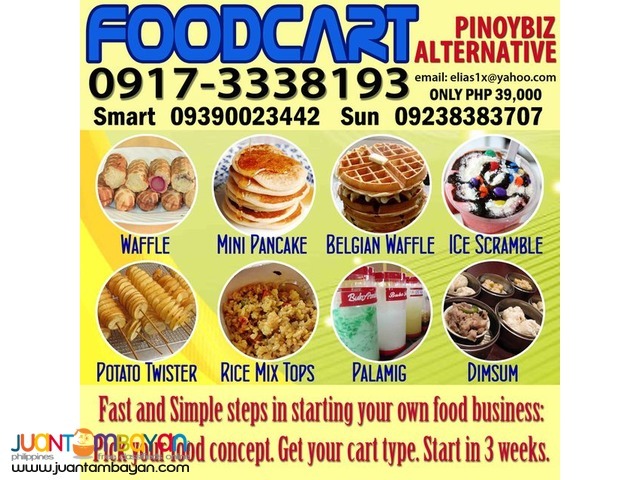 Start your own Business in the food industry. 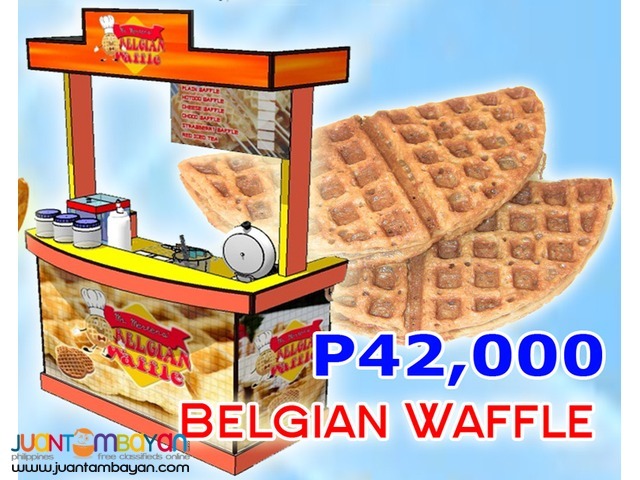 It is very simple to operate and manage but the profit potential is high. 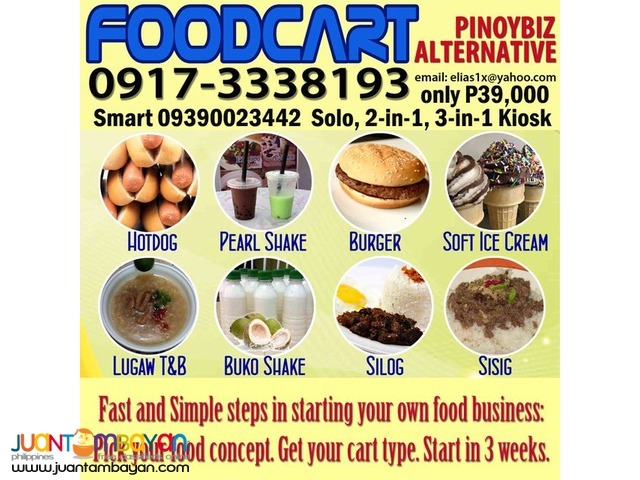 Ask us how to start your own foodcart business. 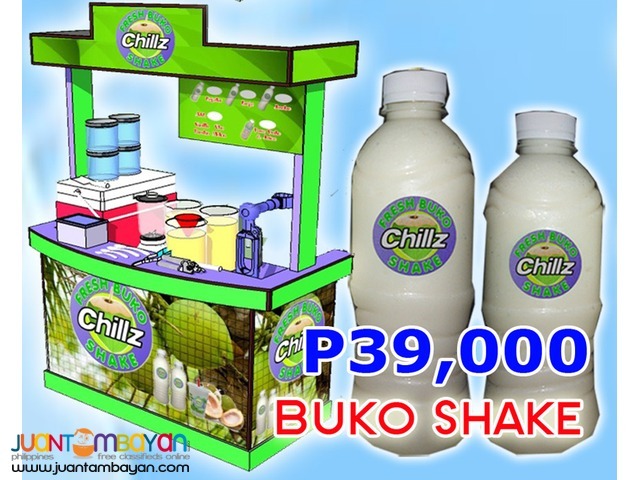 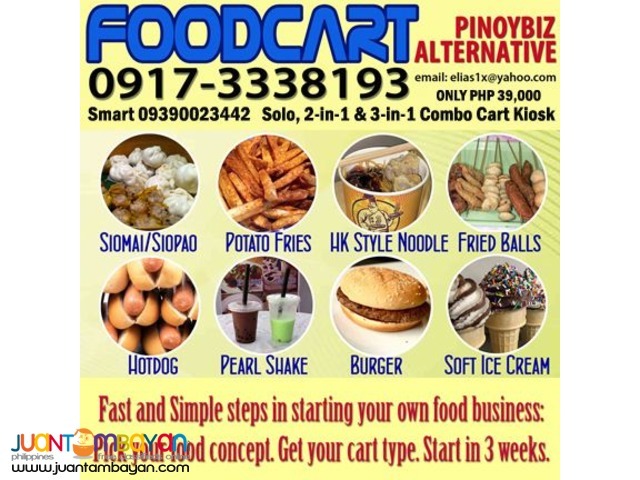 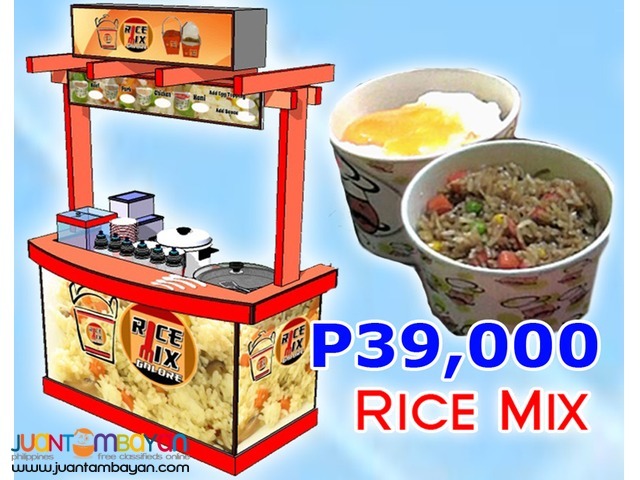 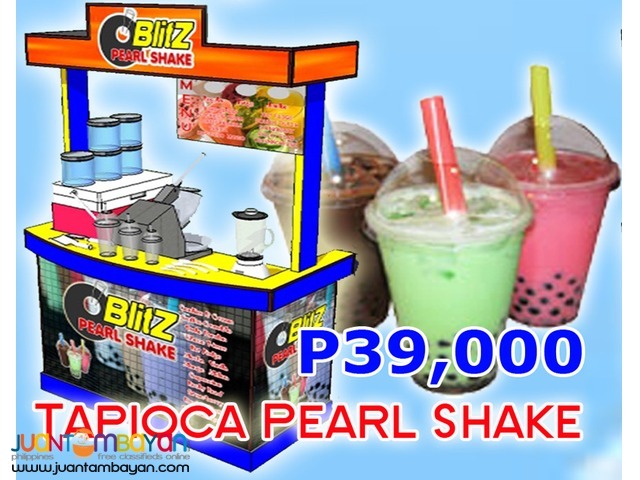 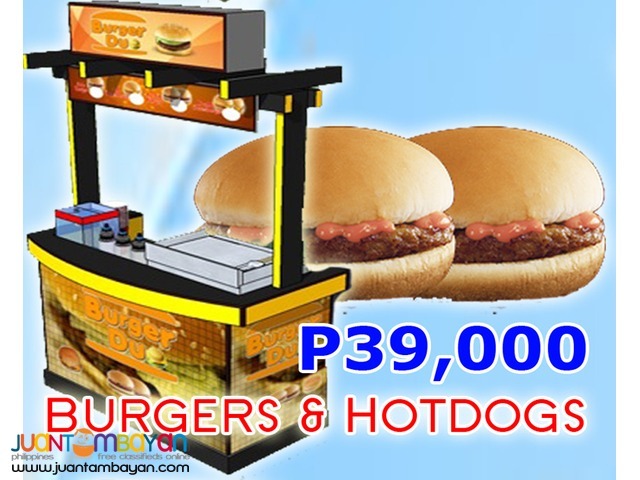 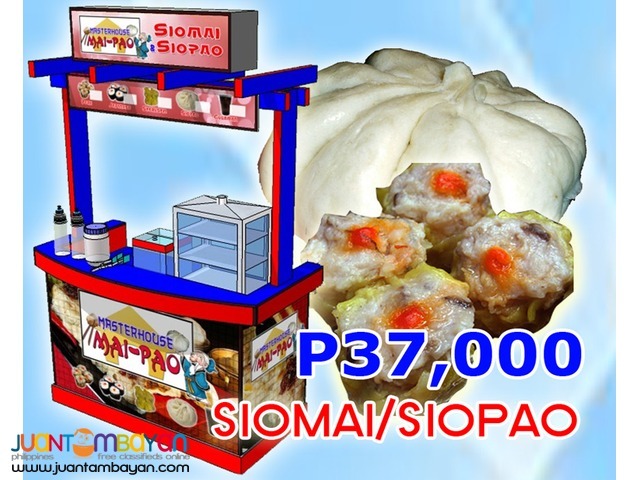 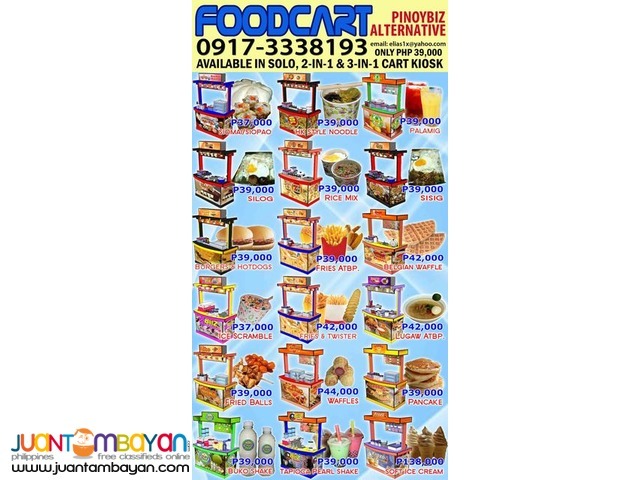 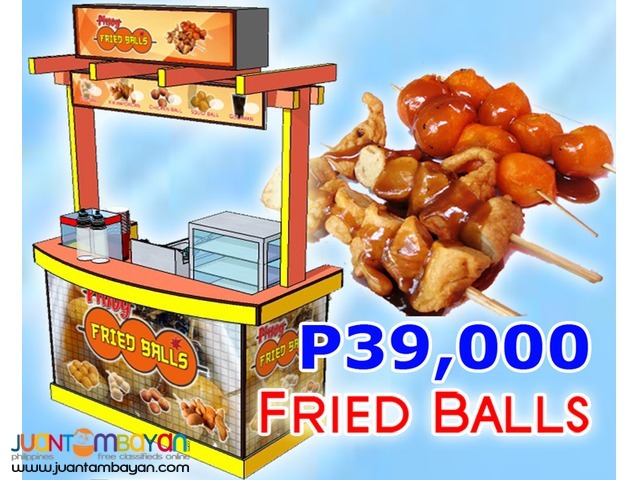 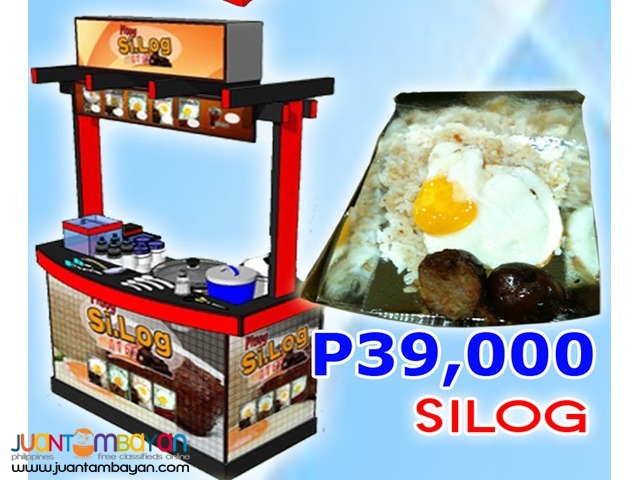 20 Food Ideas & Profitable Concepts: *PEARL SHAKE *BUKO *SUNDAE *SIOMAI *SIOPAO *SILOG *RICE MIX *SISIG *LUGAW *HONGKONG STYLE NOODLES *FRIED BALLS *FRIES *BURGERS *HOTDOGS *WAFFLE *PANCAKE *BELGIAN WAFFLE *SOFT ICE CREAM and more.